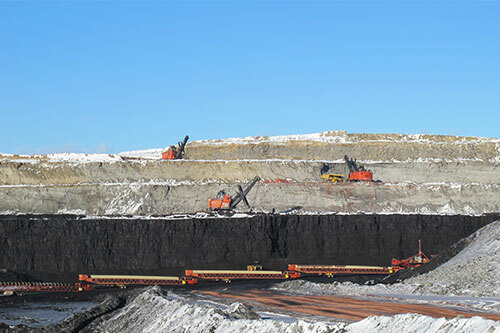 In operation since 1923, Wyodak Resources Development Corporation is the oldest continuously operating surface coal mine in the United States and the oldest coal mine in the Powder River Basin. Located near Gillette, Wyoming and a subsidiary of Black Hills Corporation, the Wyodak Mine places a high emphasis on safety and environmental compliance. We employ about 60 employees and are permitted to mine approximately 6,000 acres of land. Read more about our history. Daily operations at the mine primarily supply coal to power plants at the adjacent Neil Simpson Complex. With nearly 200 million tons of coal reserves, we’re able to supply coal to these generation facilities through 2055 at current production levels. We work constantly to provide a reliable and sustainable source for electricity generation. Wyodak is a surface coal mine set up as a mine-mouth operation. It’s our goal to send every person home safely every day. We emphasize this through the Zero Zone program. We’re committed to environmental compliance and improvement in all aspects of the mining operation. Mining operations first began around 1918 with the establishment of the Peerless Mine. Do you need our mailing address? Or are you curious about something specific? We're here to help.